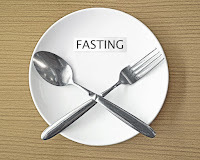 I thought maybe it was time to share a few tips I've learned about extended fasting. Much of this information I have obtained through my membership with the Intensive Dietary Management coaching program. I would recommend considering signing up if you are serious about introducing fasting into your routine. Assume most of what I say here originally comes from Dr. Fung, Megan Ramos or Nadia Pateguana. Thanks IDM! If you are already lean, and do not have excess fat stores, then extended fasting may not be for you. You might not have adequate fat repositories to fuel yourself over an extended fast. You may want to consider sticking to intermittent fasting (IF) instead. IF is the practice of not snacking between meals and trying to concentrate your meals into a fairly tight 6-8 hour window daily. If you are taking any medication to manage your blood sugar, make sure you work with your physician to adjust your doses. Fasting will lower your blood glucose levels, and if you are taking too much medication it could go dangerously low. The ability to fast is like a muscle, the more you exercise it, the stronger it gets. And the easier fasting becomes. Fasts over seven days require close medical supervision to ensure you are not dehydrated and you have adequate electrolytes. Most people will get all of the benefits of fasting with fasts of seven days or fewer. Fasting is much easier once you are fat adapted. 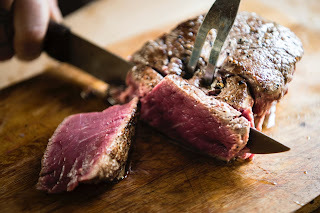 Following a ketogenic diet is one of the best ways to become fat adapted. Make sure to keep hydrated. Sip water throughout the day rather than chugging a bunch all at once. Chugging water will deplete your electrolytes more quickly. Be sure to drink at least 2 liters (half a gallon) a day. I like to put a few grains of coarse sea salt under my tongue to keep up. I take Epsom salt baths. You absorb the magnesium through your skin. I occasionally will also take magnesium citrate. You do need let your body get used to it as it can cause loose stools when you first start taking it. Try eating a full avocado the day before your fast. Avocados are loaded with potassium and will get you off to a good start. KetoAide - This is a homemade mixture shop of all three electrolytes often used by people on the ketogenic forums. This also uses magnesium citrate which can cause GI distress, so let your body get used to it. If you really get dehydrated, you can use sugar free powerade to help replenish electrolytes. However this contains artificial sweeteners which are detrimental to the benefits of fasting, so only use this as a last resort. Headaches and Dizziness - Take more salt such as sea salt, Kosher salt, Celtic salt or Himalayan salt or take bone broth with salt. Water - You can add lemon, lime or apple cider vinegar if you like. Do not add products like Crystal Light. The artificial sweeteners are detrimental to the benefits of fasting. Tee and Coffee, unsweetened - You can add lemon if or a little cinnamon if desired. Don't add sweeteners. Training wheel options - If necessary you can add a small amount of heavy cream or butter. Keep in mind that too much of these fats will be detrimental to the benefits of fasting. But you can use a small amount while you start fasting. You can exercise while fasting. In fact, I often feel like I have more energy when I'm fasting! For most people the first day or two of fasting is the hardest part. Once you hit day 3, it is usually much easier and the hunger generally subsides. 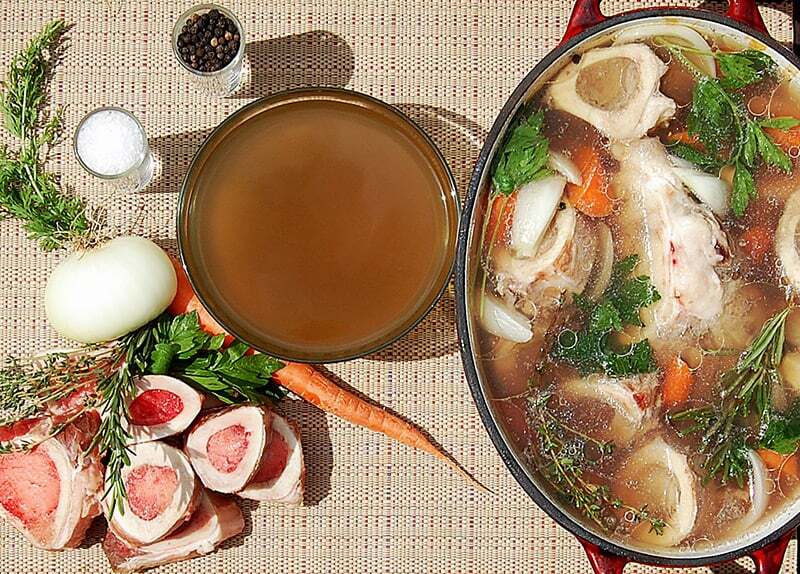 A cup of bone broth and a wedge or two of avocado. Have a tablespoon of almond butter. Lastly and most importantly - Listen to your body. If you start feeling off, or have intense hunger then stop your fast and eat. You can always fast again in a few days. It's fine to push through slight hunger pangs, but if you don't feel well or feel extreme hunger, then stop your fast. My next blog post will discuss the next scheduled meetup of the Minnesota Ketonians. 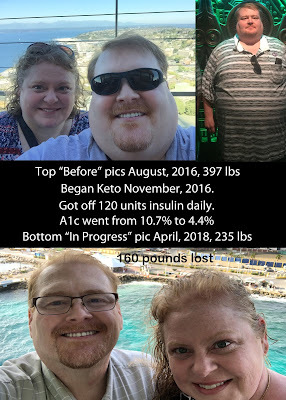 You can also read my last blog post which discussed paying it forward to the keto community.